This is a great collection of Low Cholesterol Recipes! Yay! lol sorry I have looked high & low for this & Ahhhhhh Ahhhhh Ahhhhh Low & behold I have found it a great site with tons of Low Cholesterol Recipes! Yes! 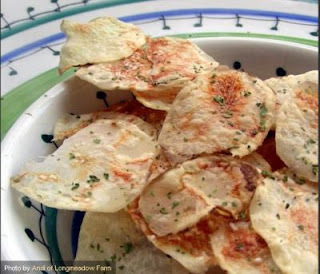 Now brace yourself the picture above is of Uncle Bill's Microwave Potato Chips photo by Andi of Longmeadow Farms The Recipe credit goes to Uncle Bill! Thanks Uncle Bill!